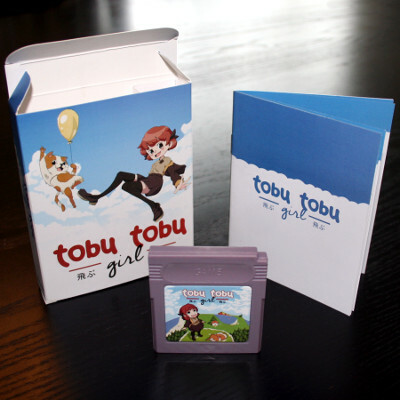 Tobu Tobu Girl is scheduled to release for the Nintendo Game Boy on December 3rd 2017 7 PM CET as a free downloadable ROM and as a limited edition complete in box. Land on enemies to bounce off of their heads gaining height. Be careful! Some enemies are less susceptible to bouncing than others. Use your dash to quickly maneuver around. Keep your dash count in mind. You can only dash three times. Land on an enemy to regain dashes. 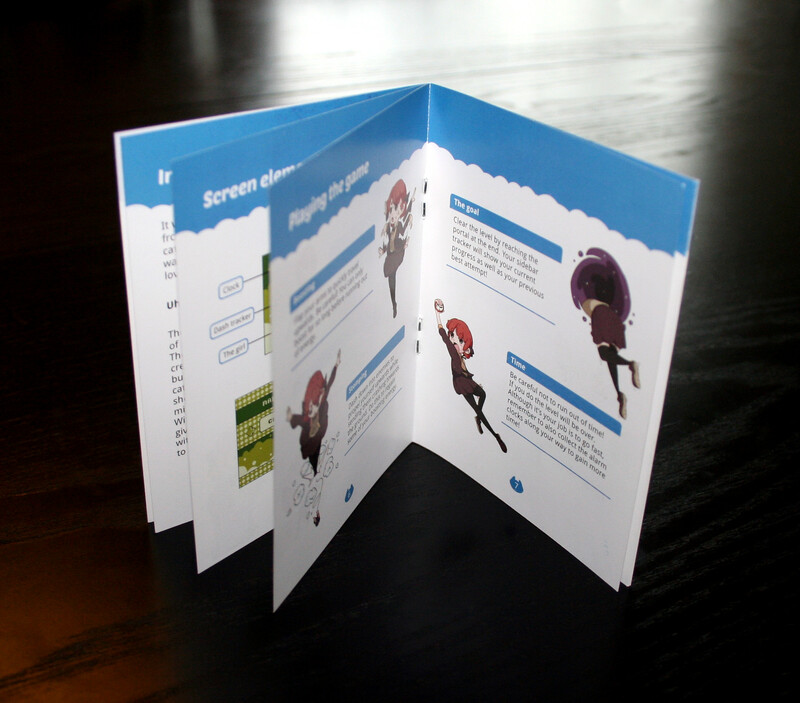 Flap your arms to quickly travel upwards. Be careful! You can only boost for so long before running out of energy. Dash down into enemies to propel yourself upwards while sending them crashing towards the ground. Do this to regain some of your boosting energy. 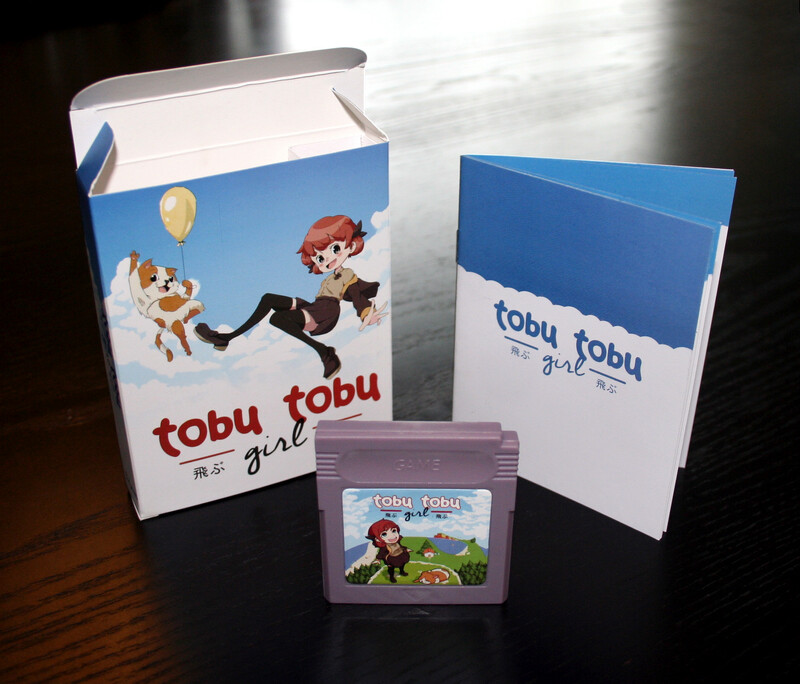 Tobu Tobu Girl will release as a limited edition Game Boy cartridge. 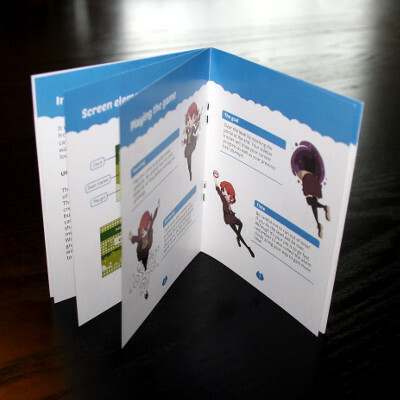 The package comes with a full-color Japanese style cardboard box and a full-color 12 page manual. The first batch has been sold out. 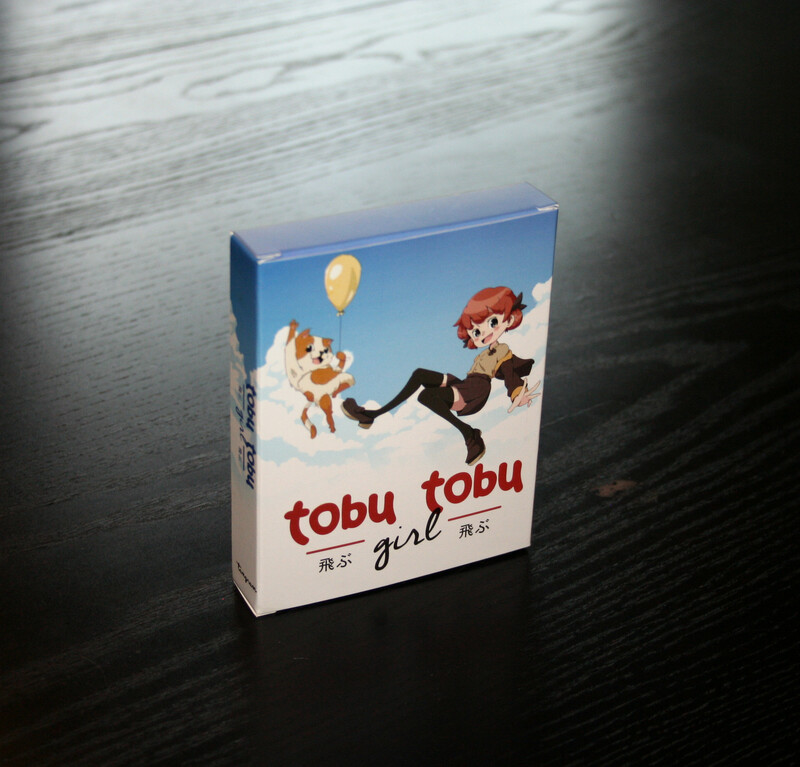 However, we are currently running a Kickstarter for a physical production of Tobu Tobu Girl Deluxe, an improved version of Tobu Tobu Girl. 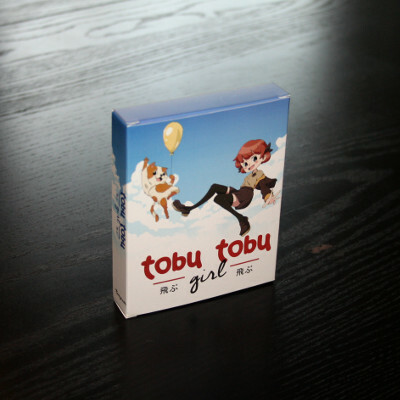 Tobu Tobu Girl can be downloaded for free on itch.io. 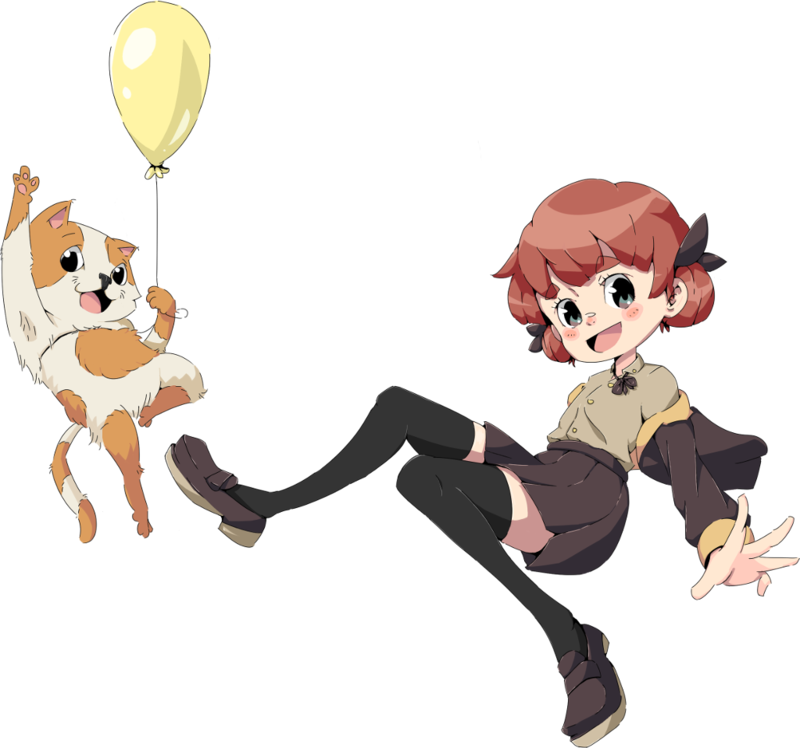 The full source code for the game is also available on GitHub under a MIT/CC-BY license. The soundtrack is also available for download on Bandcamp. In order to play the game, you will need to either flash the game to a Game Boy flash cart or use a Game Boy emulator.